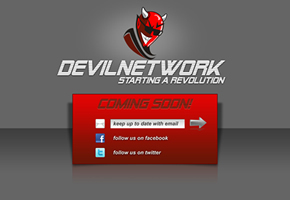 Devil Network is a planned community forum, which needed to capture potential user’s information prior to launch. 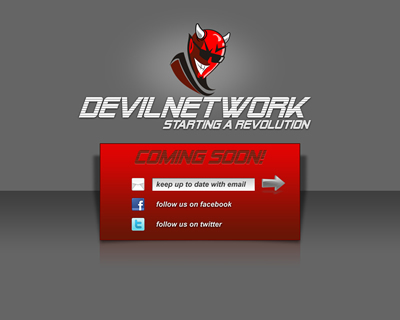 This landing page was created to provide a teaser for the new site, with links to the latest news on Facebook and Twitter. It also collected email information submitted by users, so the client could contact them with special offers when the site went live.